Singapore Airlines has been globally recognized for decades as one of Asia’s most iconic global brands. Not many airlines around the world have been able to create a brand identity as strongly etched in consumer minds, as the iconic Singapore Girl. 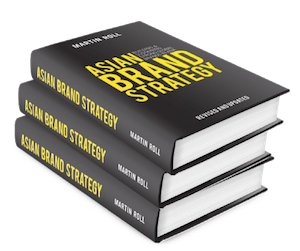 Martin Roll’s deep expertise in branding and his analysis of the Singapore Airlines brand was featured in China Daily Asia Weekly in March 2016. China Daily Asia Weekly is a weekly publication that features news, opinions and analysis of China and the region, with a distribution across Asia including Australia, India, Japan, Korea and Southeast Asia. Singapore’s flag carrier is almost a perfect combination of all the good things that Asia has to offer. Many values of Asian hospitality like service, friendliness and warmth to name a few, are seamlessly rolled into the Singapore Airlines brand that no other airline has been able to replicate. In addition, Singapore Airlines has managed to maintain consistency year after year, in its service quality and customer-driven practices. Martin Roll expressed that Singapore Airlines has created a very powerful brand equity that is an asset on the company’s balance sheet, which is a measure of its strength and reputational value. From the beginning, Singapore Airlines’ board and management took a long-term approach in building the airlines’ brand identity and unwaveringly focused on that throughout the years. One good example of this is its air stewardesses’ iconic uniform, the sarong kebaya. The Singapore Girl is a very designated and visual part of the entire brand experience – a bold but resoundingly successful move. Unlike most state-owned entities, Singapore Airlines was subject to heavy competition from the time of its inception. When it first began operating, there were no domestic routes to serve and Singapore Airlines was forced to compete with global airlines in getting access to airports, securing flight slots and landing rights, and attracting new customers. It was this difficult start that created a driving spirit in the airline to compete and to focus heavily on branding. The competition from foreign airlines forced Singapore Airlines to stay nimble, lean and innovative until today. Singapore Airlines’ brand promise to the world was that they were “A Great Way To Fly”. This promise has indeed been delivered consistently throughout the years. Managing people and ensuring service excellence in an environment with many constraints, is a real leadership challenge that Singapore Airlines has managed to overcome and excel at. Everything about the airline is customer-focused. Across all levels of the organization, staff are highly trained – from pilots and engineers to ground service and marketing staff. Singapore Airlines has also pioneered many in-flight experiential and entertainment innovations. It was the first in the world to introduce hot meals, free alcoholic and non-alcoholic beverages, personal entertainment systems and video on-demand in all cabins. In terms of technology, Singapore Airlines also maintains the youngest fleet among all major carriers, allowing it to maintain a high level of cost efficiency from lesser glitches, delays and aircraft downtime. Nonetheless, Singapore Airlines recognizes that each of its innovations has a relatively short life span. Once other airlines adopt it, it is no longer considered innovative. Hence, it continues to invest heavily in research and development, innovation and technology as strong pillars of its business strategy. As a brand that has proven that consistency, innovation, service and a long-term approach in business can indeed allow a company to be a market leader in a tough industry, Singapore Airlines is indeed an inspiring global Asian brand that many Asian as well as global brands should learn from.